Most dogs go nuts when they see water. Why is that? Whether it’s a fountain, a puddle, the sea or a river, dogs are attracted and it’s impossible to stop them from jumping in. And who can blame them? Especially when it’s hot out! There are actually canine breeds defined as aquatic. Like the American Water Spaniel and the Irish Water Spaniel, who love water so much it became part of their breed’s name. There are only a few breeds who don’t get along really well with water, like the Bulldog, but that’s for structural reasons: they have a wide body and short legs. While they may not swim particularly well, that doesn’t mean they can’t have fun in the water! Dogs generally love rivers, lakes, the sea and swimming pools for the same reasons we do: because they’re so much fun and cool us down. 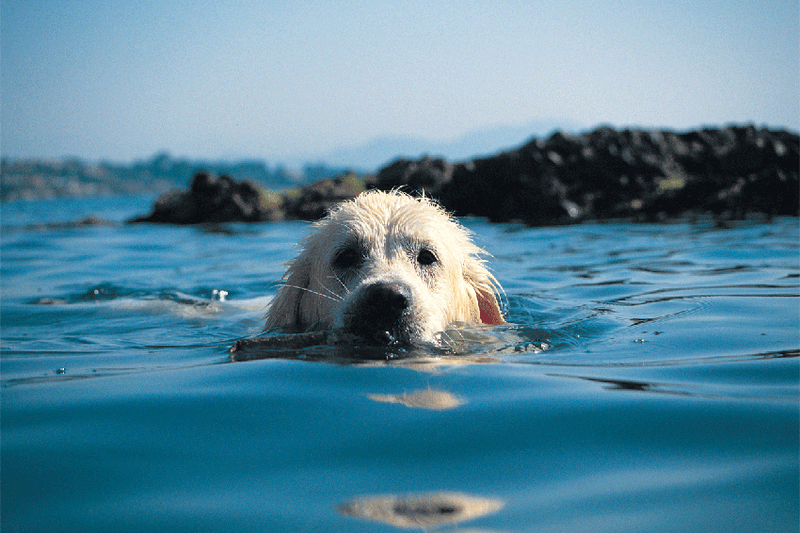 Swimming is great exercise for our four-legged friends. It strengthens their hearts and lungs by stimulating all their muscles without tiring their hip and back joints. 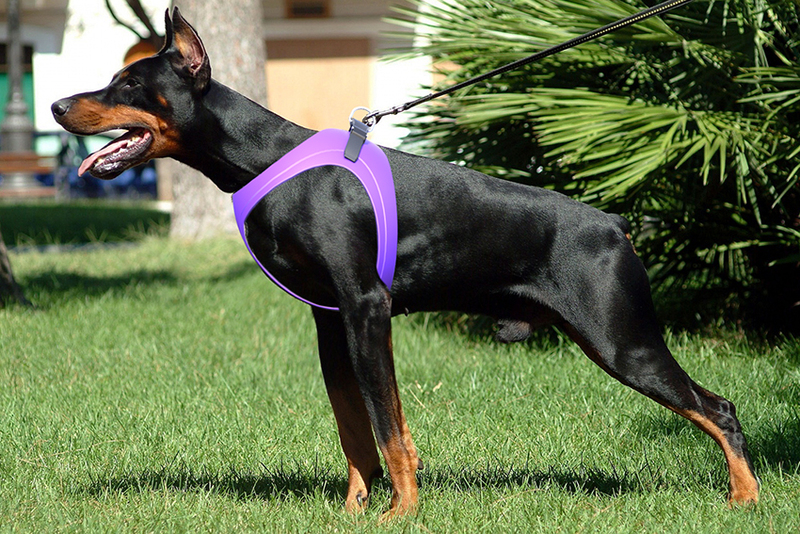 Although they prefer to swim without collars, harnesses or leads, if we’re in a public place it’s best to stay by their sides and keep these safety devices on them to keep them under control and not bother other people. A wet collar or harness after a dip in the water can be quite bothersome, so we suggest you get Ergoflex accessories, a line especially constructed with hardy, flexible and, above all, waterproof material. The Ergoflex line includes collars, harnesses and leads, and thanks to the special tecno-rubber our hairy buddies will be able to swim comfortably and safely. And after he has shaken all the excess water off him, he’ll be fresh and ready to go on playing!